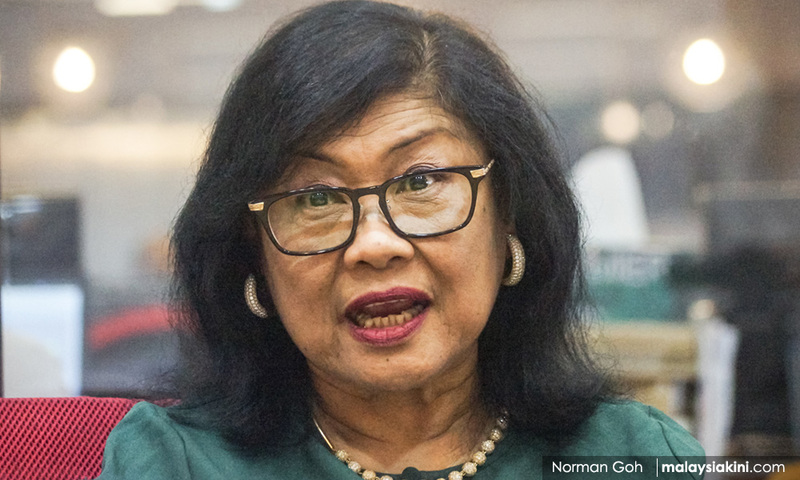 The Pakatan Harapan government should talk less talk, work more in order to put the nation back on the right track, Rafidah Aziz said. The former international trade and industry minister said the government must get on with governing and shouldering the enormous task of nation-building. She echoed Council of Eminent Persons chairperson Daim Zainuddin’s statement that the government should stop pointing fingers and blaming the previous government that ruled the country for the past 61 years. Daim told the government to start concentrating on delivering its promises to the people who have voted them during the 14th general election. “Let's get on with governing. But when the problems created by the previous government cropped up, we have to tell the rakyat who created them. However, the rakyat also must know where the blame actually lies,” Rafidah said. Asked about the role she could play upon joining Bersatu chaired by Prime Minister Dr Mahathir Mohamad, Rafidah said she would give her commitment to the Pakatan government through her membership in the party. Rafidah, who is currently AirAsia X Bhd chairperson, stressed that her wish to join Bersatu was "not because other people are joining it". Asean Traders Association president Moehamad Izat Emir said the association expressed relief that Daim offered sound advice to the government. “Daim's remarks were pertinent, wise and full of responsibility, in line with his duty as a government adviser. “The culture of vilifying the opposition, dwelling into the past will not benefit the new government; (it's) contrary to the concept of openness practised in Parliament where everyone with a smartphone can access the debate by lawmakers," he said. Moehamad Izat said even though the government could lend credence to the information disclosed, the people would eventually become annoyed of the rhetoric if there were no significant changes made. “We also seeing contests in the four parties in Pakatan that we don’t understand. They went to the polls as a team but now there is a tussle within the parties concerned. Which faction should we follow? “What is important is, Malaysians want development and progress, and Mahathir’s leadership is still needed to avoid disunity,” Moehamad Izat said. 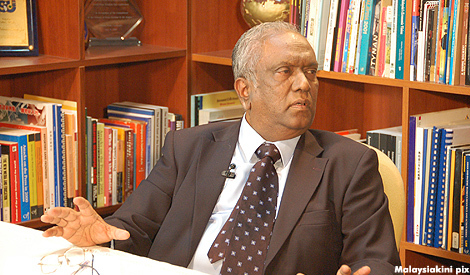 Meanwhile, Sunway Group corporate adviser Ramon Navaratnam (photo) said the people were beginning to grow tired of the antics of blaming past leaders who had let the people down miserably. "We need to review, revise, reform and rise faster on all fronts in our socio-economic and political development, while the government should plan for the present, while the future must be given a stronger thrust," he said. Ramon, who was former transport ministry secretary-general, noted that Daim was one of the few outstanding Malaysian leaders who could tell the government what to do and being listened to. "The rightists and extremists have to be isolated in order for us to move forward as a more united and progressive New Malaysia," he said.